Welcome to our Toyota engine warehouse. Were you looking for a used Toyota engine for sale with the perfect price and fast delivery? We have it. Free shipping for you, Toyota fan, if it is in the US or Canada with 3 or 4 day arrival. Any of our Toyota engines come with our 100% guarantee. But, wait. Were you looking for rebuilt Toyota engines or remanufactured Toyota engines? If you want to buy Toyota engine that's almost new or with low mileage, that's our specialty, but we also have an enormous inventory of Japanese engines for sale that include comparability for your Toyota. You can compare prices on many engines or one. 3) The Specific Toyota Part You Have in Mind. If cars were people, your Toyota would be your best friend. It's the real power in your life that hinges all your personal and professional events together. Without it, your life bottom's up. You wouldn't treat a reliable auto friend to any old used auto engine. Our Toyota clients never do. You need to secure a highly compatible auto engine, one that is clean and sourced from reliable automotive connections. It should have been thoroughly tested by proper authorities and it should be affordable, not a burden. We connect. You find a good clean auto engine. You save. You get our guarantee. We ship free and fast. Call now for quotes and free information with auto tech authorities at Sharper Edge Engines. We are a family-owned business operating with decades experience and serious Toyota enthusiasm. Our long-term automotive technicians perform work in house. They're available for your assistance without obligation. Your email is not required, either. Great Toyota Engines. Here's Why. 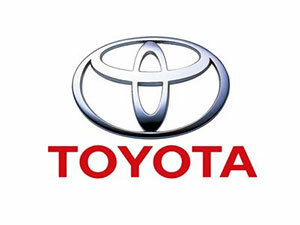 For more than fifty years, Toyota has been crowding US roads with fantastic engineering and exciting automotive tech. In addition, they bench-marked critical US environmental emission control standards all while offering drivers gas-saving benefits. Next, they sport the best in every vehicle class. All these while their cars glisten showrooms and whispered I'm affordable. Finally, they last. Because its engine sustains multiple generations of drivers, many of our clients have 2 or 3 garaged Toyota vehicles. When the time comes, our clients order their replacement engines because they know it will be guaranteed compatible. We work with and have Japanese engines for sale for vehicle models years around 1989 or younger, especially Toyota. The most notably sold used gas-fired Japanese engines in the after-market automotive industry is destined to rest under the hood of a Toyota. Within the used auto engine multi verse there are Japanese imported engines for sale and then there are great working Toyota engines for sale with very little mileages in tip-top running condition at great prices. These have appropriate emission control devices sufficient to meet even Californian standards. These are Toyota engines manufactured at US Toyota engine manufacturing plants: Kentucky, Alabama and West Virginia. When your mechanic attempts installation, there will be no last-minute crash courses on smog control devices or sudden expenses. If you are a US Toyota owner, your engine's emission control needs to match US standards even outside California. Most Japanese direct-imported auto engines need adaptation. Some are not compatible. Without obligation, you can speak direct with our power train specialist about yours. Did you know that a remanufactured Toyota engine or a rebuilt Toyota engine can provide the greatest longevity and the best performance? It's not uncommon to find either of these versions of used auto engines at a cheaper price than a newer Toyota engine. Grab your VIN and shop address. You can find these prices for free in just a few minutes.